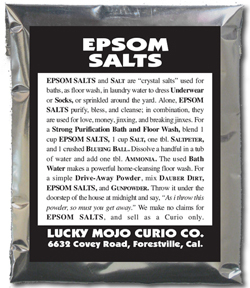 EPSOM SALTS and Salt are "crystal salts” used for baths, as floor wash, in laundry water to dress Underwear or Socks, or sprinkled around the yard. Alone, Epsom Salts purify, bless, and cleanse; in combination, they are used for love, money, jinxing, and breaking jinxes. For a Strong Purification Bath and Floor Wash, blend 1 cup Epsom Salts, 1 cup Salt, one tbl. Saltpeter, and 1 crushed Blueing Ball. Dissolve a handful in a tub of water and add one tbl. Ammonia. The used Bath Water makes a powerful home-cleansing floor wash. For a simple Drive-Away Powder, mix Dauber Dirt, Epsom Salts, and Gunpowder. 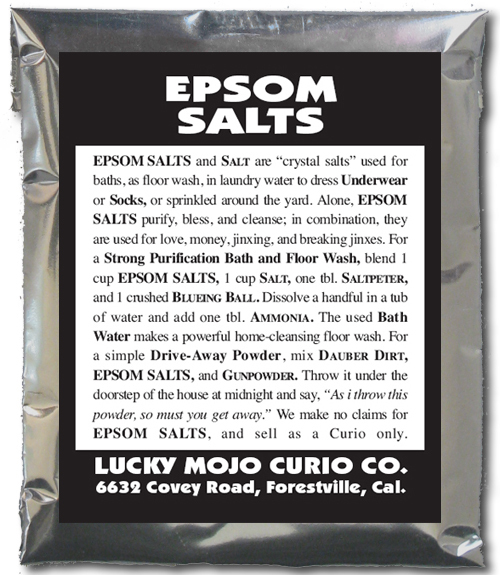 Throw it under the doorstep of the house at midnight and say, "As i throw this powder, so must you get away.” We make no claims for EPSOM SALTS, and sell as a Curio only. Many more folkloric magical spells utilizing EPSOM SALTS can be found in the book "Hoodoo Herb and Root Magic" by catherine yronwode. copyright © 1995-2008 catherine yronwode. All rights reserved. a small donation to catherine yronwode for the creation and maintenance of this site. 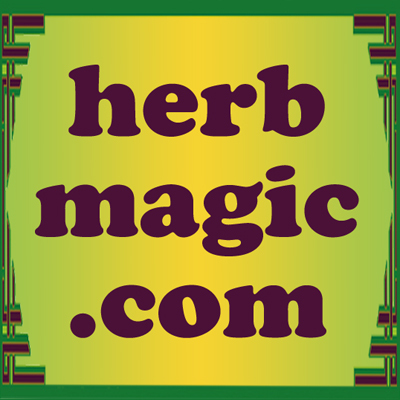 about the use of herbs and roots in folk magic. THE LUCKY MOJO CURIO CO. OCCULT SHOP.